JPG to PDF Convert is a simple to use, yet sophisticated file conversion utility specifically designed to convert JPG into PDF files. If you need to convert one or thousands of JPG, located in one or many different folders, into a PDF, this is the tool. You can merge several JPG files into a single PDF file or convert each JPG file into a separate PDF file. You can control the output PDF size using Quality Percent. 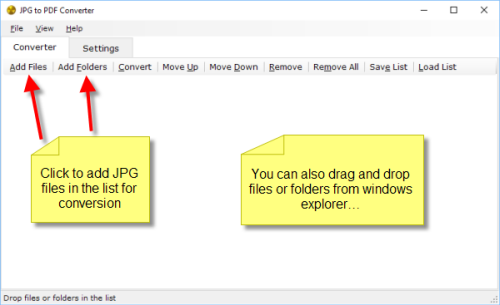 Automates the process of JPG to PDF Conversion.